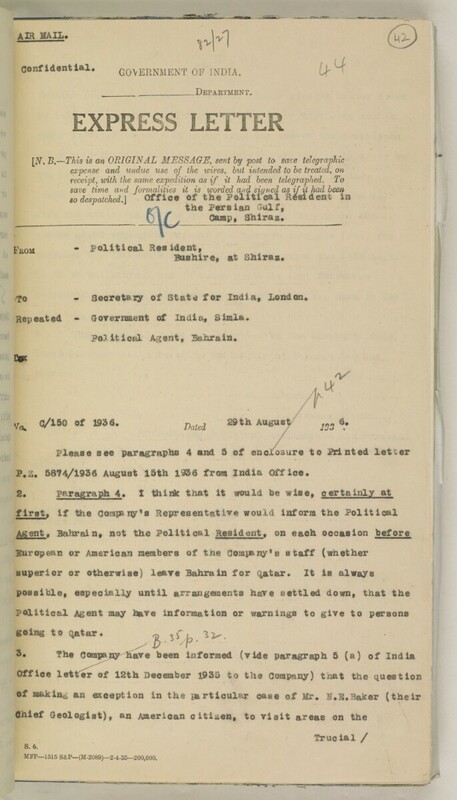 •po - Secretary of State for India, London. Repeated - aoTermaent of India, Simla. V*. C /i-SO of 1936. Dated 29th August ^ 8. P.S. 5874/1936 August 15th 1936 from India Office The department of the British Government to which the Government of India reported between 1858 and 1947. The successor to the Court of Directors. .